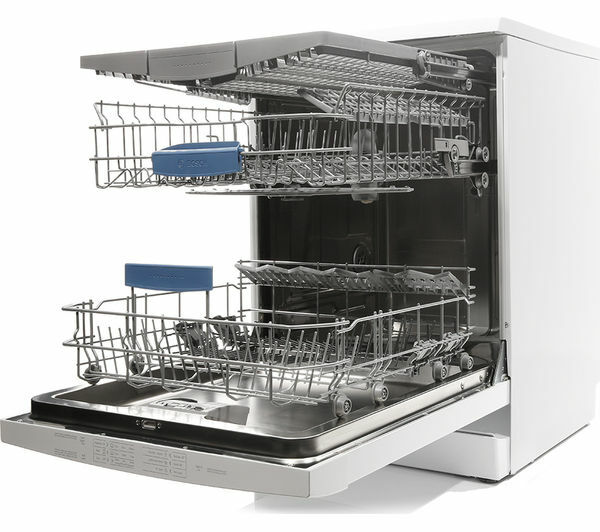 This Bosch SMS68M02GB dishwasher has a slimline third basket at the top where you can place your cutlery, this means you might not have to use the cutlery basket in the bottom rack, giving you more space to wash extra plates or pans. There is an LED display to let you know how long is left until your programme is finished and a time delay so you can wash at a time more convenient for you. Special programmes include Auto, which uses sensors to choose the best programme to clean your dishes and if you need to wash in a hurry, there is a quick wash programme where you can wash a load of lightly soiled items and a VarioSpeed button reduces the cycle times on certain programmes and can clean in up to half the time with optimum cleaning and drying results. The half load option will save on time and energy if you only have a partial load to wash. The folding plate supports in the bottom basket will make it easy for you to wash either plates or large pots or pans and the height adjustable upper basket can be positioned at two different heights, perfect if you have either tall glasses or plates to clean. The A++ energy rating will help you to save money on your electricity bills. Remember to take a read through my dishwasher guide before you make your purchase. What’s the best price for the Bosch SMS68M02GB? If you are interested in buying the Bosch SMS68M02GB dishwasher, then make sure you don’t pay over the odds. The maximum price you should be paying for the Bosch SMS68M02GB is £429, but the best price would be below £380. 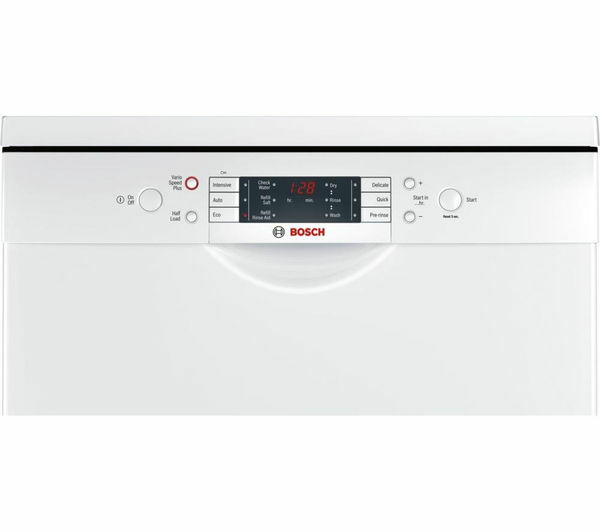 To see if the Bosch SMS68M02GB has made it into my top dishwasher deals, check out the latest offers that I’ve searched from multiple retailers. I search for the best dishwasher deals, so you don’t have to.